An international rights group says the Egyptian military has intensified home demolitions in the northern part of the Sinai Peninsula as part of its campaign against a local affiliate of the Islamic State group. 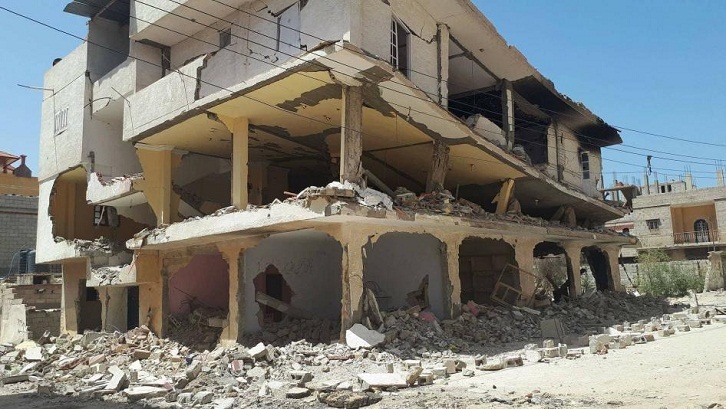 Tuesday's report by Human Rights Watch says the military has vastly expanded widespread destruction of homes, commercial buildings and farms in Northern Sinai province since February 9. It says "the new destruction, including hundreds of hectares of farmland and at least 3,000 homes and commercial buildings, together with 600 buildings destroyed in January, is the largest since the army officially began evictions in 2014." HRW says the destruction has extended well beyond two government-designated security buffer zones in the cities of al-Arish and Rafah. Egypt has struggled for years to contain a long-running insurgency in Sinai.